If you’re looking for art on wheels, look no further than some of the motorcycles available on the market today. From vintage-looking pieces to slick rides that look straight out of 007, there are some beautiful motorcycles that are actually worth more than your car. Some traditionalists may say a motorcycle is nothing more than a glorified bicycle. But we’re pretty certain you’ll be impressed by some of the two-wheeled rides out there that command attention on the roads! If there’s one way to pay respect to a legendary man, then the Icon Sheene has perfected it. This work of art was designed to honour British World Champion Grand Prix motorcycle racer, Brian Sheene. And you can forget about factory manufactured detailing. All 52 of these bikes feature a hand-painted image of a playing card along its gun metal finish. Meanwhile, a Garrett turbocharge that runs at .4 bar nicely complements the 1,400cc Suzuki engine. Boutique English manufacturer Icon called the Sheene the most powerful production motorcycle in the world. Now several years after its release, it still remains one of the most expensive motorcycles on the market today. This motorcycle is comparable to the price of a small condo in Toronto. Designed by Aldo Drudi, the bike has been described as somewhat “naked looking” and angular in appearance. But motorcycle enthusiasts can stare at this model for hours. The mechanical workings of this powerful bike is fully visible, certainly making it something to marvel at. Macchia Nera translates to “Black Spot” which has piqued the interest of consumers for years. 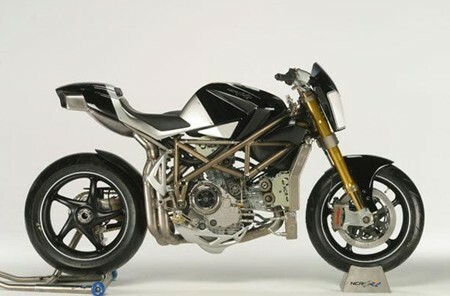 The bike is powered by a Ducati 998R engine that produces 185 horsepower. And guess what? The whole thing weighs less than 300 pounds! This eye-popping motorcycle is known for its intricate use of colour and feminine curves. 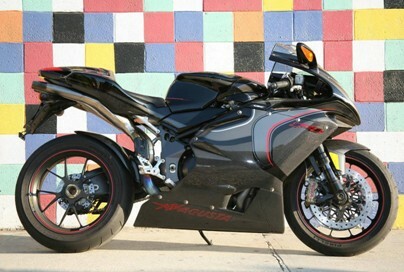 Believe it or not, the bike was a one-off pet project by MV Agusta CEO, Claudio Castiglioni. Although the model was to be limited to 100 units globally, the worldwide economic recession actually ruined its overall sales. The 100 units never completely sold out, leaving the F4CC to waste away in showrooms around the world. These days, you could probably get this bike for much less than $120,000 asking price!